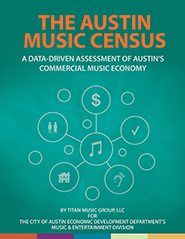 The City's Music & Entertainment Division is an economic development accelerator and centralized resource center for Austin’s music industry, and an active community partner for Austin’s citizens, community groups, and neighborhoods. For a full list of our programs and services, visit www.atxmusic.org. Check out our Resource page for information on the services and resources the City of Austin offers for artists and musicians.